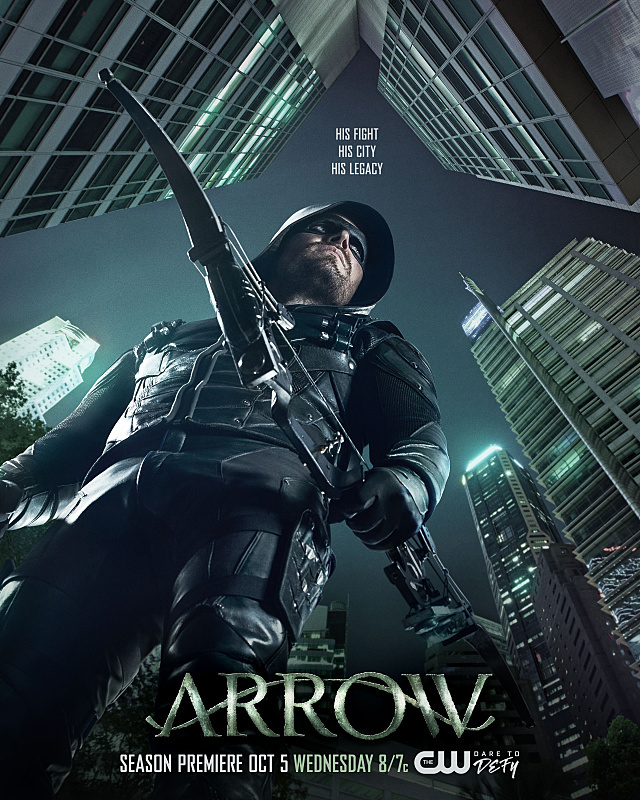 The Green Arrow is featured on Season 5 key art to promote Arrow. 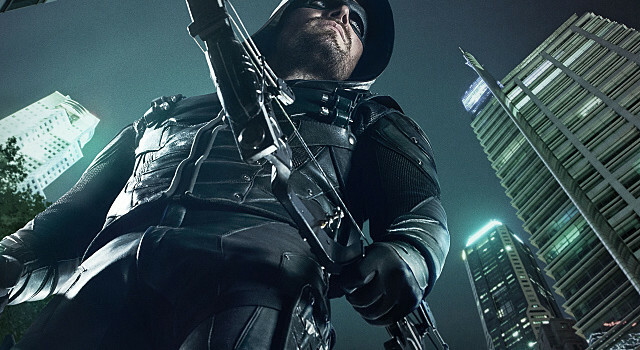 The title character of Arrow takes center stage in new Arrow Season 5 key art from The CW, as you can see it spotlights Stephen Amell‘s Green Arrow. His fight. His city. 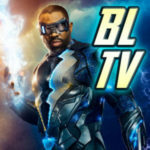 His legacy. This new artwork does not fail this city. 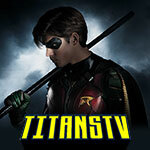 Season 5 premieres October 5 on The CW; a description and photos from the season premiere can be found here.